Help music connect and move people from all walks of life. You play a vital part in shaping our future. Please consider making a tax-deductible donation today. From concerts by classical masters and jam sessions with jazz legends, to explorations by experimental sound artists and master classes for emerging local musicians. 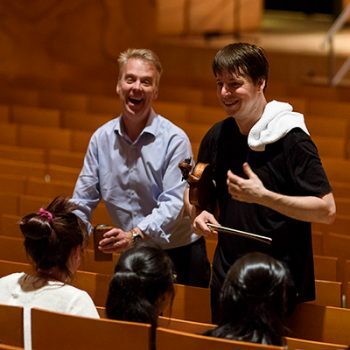 Melbourne Recital Centre has a kaleidoscopic program of great musical experiences and opportunities for all Victorians. With only 30% of our income coming from the Victorian government, what we do would not be possible without the generous support we receive from our community of donors - which is why we need your help. Please consider making a donation toward our diverse program of concerts, artist development activities and access initiatives breaks down barriers and provides transformative musical experiences for 200,000 visitors each year. Donations of $2 and more are tax-deductible. Everyone has a part to play, let us help you find yours. Provide access to thrilling music for everyone. $39 pays for a ticket and transport for a young person facing barriers to attend a concert through our Share the Music program. $450 enables a whole class of students to visit the Centre just like the students from Insight Education (pictured above). $120 offsets the cost for a talented young musician to take part in one of our unique artist development opportunities (such as a master class with an elite international performer), helping them to build their skills and expand their networks - last year, local students were inspired by Joshua Bell in open rehearsal with the Academy of St Martin in the Fields. "The playing of the young pianist was awe inspiring. It completely lifted my heart and made me feel so proud of our young musicians. I felt a tremendous privilege in being part of the community that evening." Provide a platform for the very best. 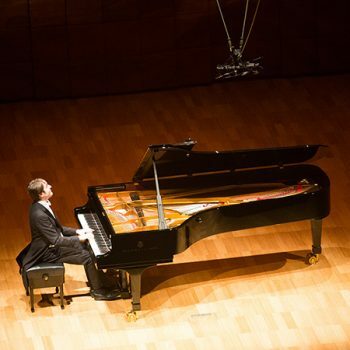 $350 covers the cost of tuning one of our Steinway concert grand pianos, ensuring the Centre is always able to meet the exacting requirements of local and international artists of the highest calibre. Create a place of unparalleled musical vibrancy. "I attend other venues, but do not have the same sense of 'belonging'. I feel a strong sense of connection to the Centre." $550 helps newly-commissioned music receive a premiere performance by covering the cost of an ensemble rehearsal. 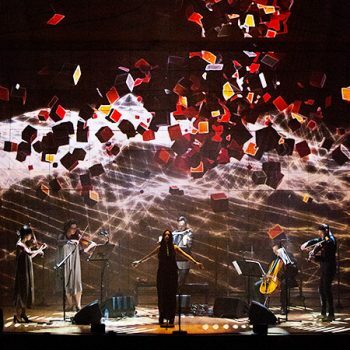 We are committed to enriching the Australian musical landscape through commissioning and presenting performances of new music across a variety of genres, like our presentation of Zola Jesus with Penny Quartet. $1000 helps us tour a Local Heroes ensemble to a regional centre. Melbourne Recital Centre is about so much more than what goes on inside our unique performance spaces. 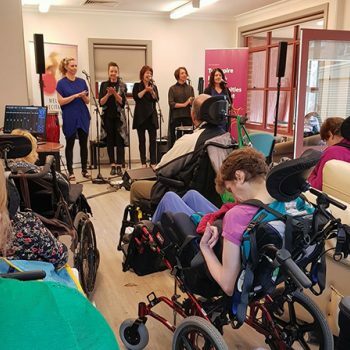 We are committed to bringing the immersive benefits of live music to more Victorians, like the patients and residents of Wesley Neurological Support Services (WNSS). Make a tax-deductible donation by 30 June and help us continue to inspire, enrich, surprise, entertain, connect, challenge and move people from all walks of life. Subsidise the cost of a ticket and transport for a young person or people facing barriers to attend a concert at Melbourne Recital Centre. Enable a talented young musician to take part in a unique artist development opportunity. Cover the cost of tuning one of our Steinway concert grand pianos, ensuring the Centre is always able to meet the exacting requirements of local and international artists of the highest calibre. Help newly-commissioned music receive a premiere performance. Help us tour a Local Heroes ensemble to a regional centre.